Thank you for all your kind comments about the book and sweet emails. I’m a lucky girl to have such wonderful friends (even if you’re online!) and I’m so thankful for you! These are a couple more projects and out-takes from the book that I thought I’d share…and everybody likes pretty photos right? Don’t answer that. This quilt is my favorite of the book. I love the fabrics in this quilt…it has a scrappy look without being scrappy. I backed it with a green flannel and Christina quilted it…it’s so soft and heavy. 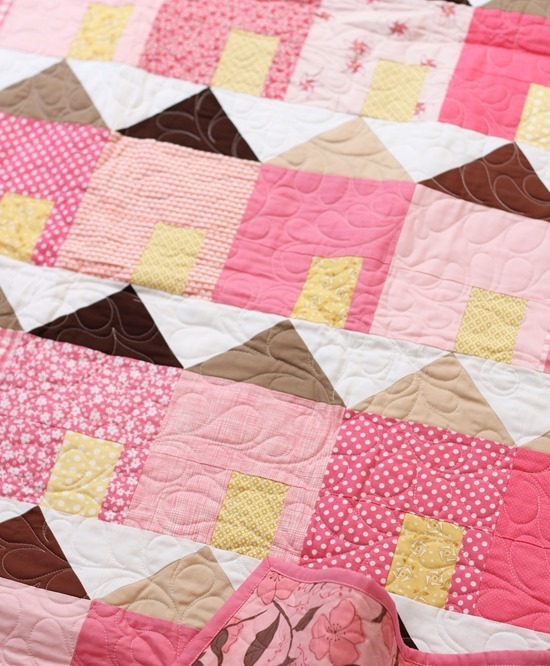 I have a thing for boy quilts and boy fabrics…but I do love a little (or a lot) of pink. And…back to the boy fabrics. This is how we spend our afternoons almost every day…the boys looking for crabs under the rocks while I watch/eat/read/eat more. My Grandma gave us Quillows when I was 12 or so and I hadn’t seen one since. This one is a great size for kids…to leave in the car, travel with, or pack to the park. Chilly feet can even fit inside the pocket! And there you have it…a few more pictures of a few more projects! You can see my previous post about this book (Growing up Modern) here. The book is available on amazon, at your local quilt shop, or if you are a wholesale shop it is also at distributors. I LOVE breezy!!! 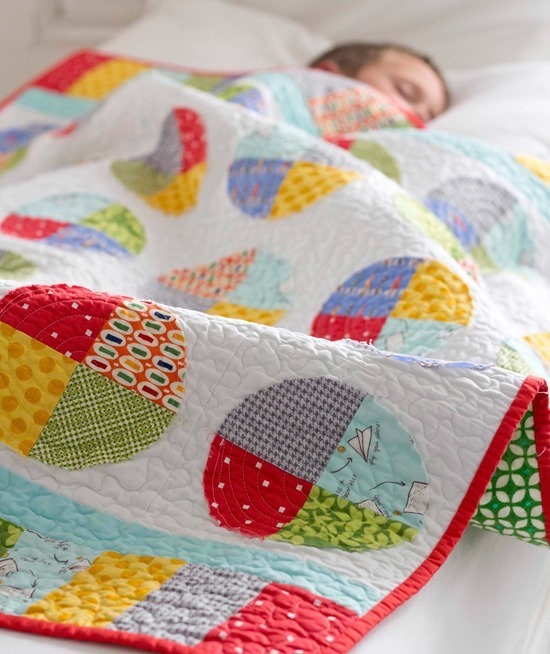 It's sooo cute, and now on my list of quilts to make…soon. In working on my scout quilt in my free time. One week!! I'm SOO excited! See you soon!!! 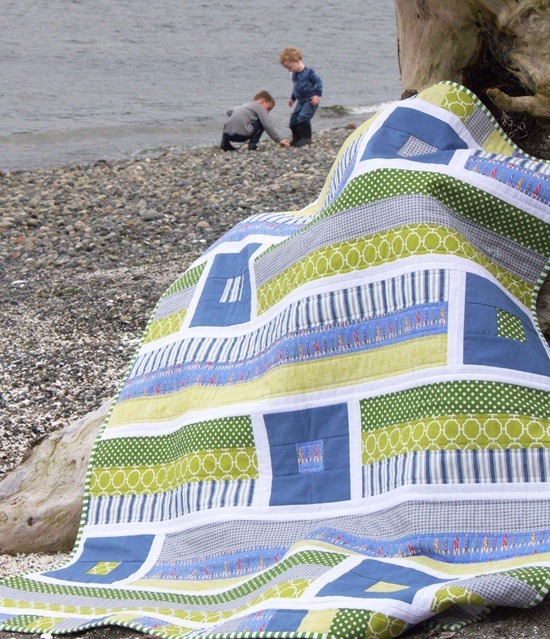 I am crazy about all three of these quilts(lows). 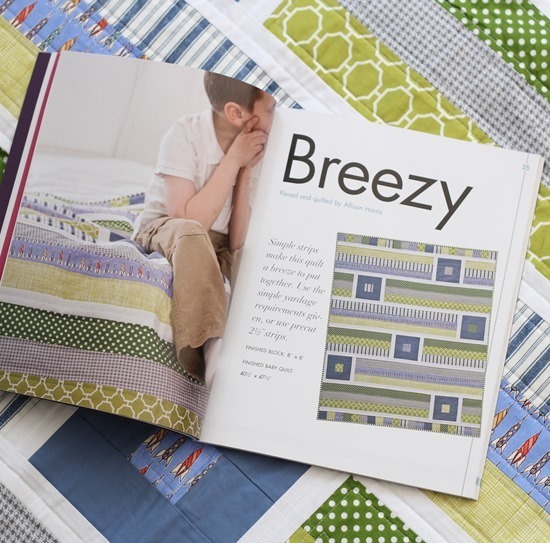 I love seeing creative takes on strip quilts, and Breezy is perfect for that! Those Children at Play rockets are such a fun choice for a long strip, too. 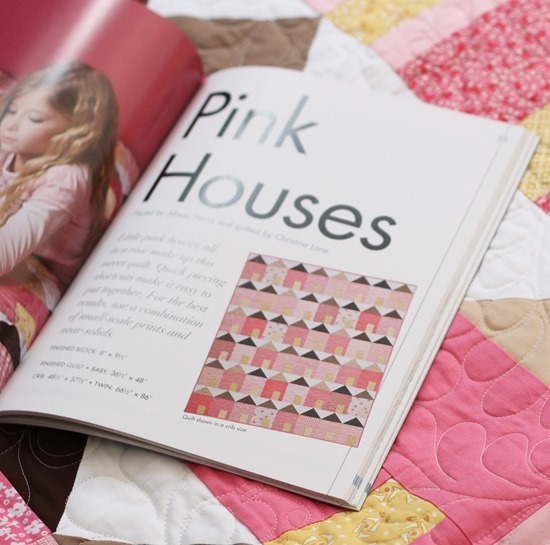 I love the pink houses quilt! I LOVE the Quillow! My grandma also made one for me – probably when I was around the same age. It is very precious to me because it's the last thing she made for me (as well as the other 15 or so grandkids – yeah, she was amazing) before she passed away from cancer. Of course my kids will have to have one of these when they get older. I'm glad you've included a pattern for it in your book! The more your show the more excited I get!!! What a beautiful book!! I love this book, can't wait to get it! My book has been ordered. I LOVE your breezy quilt!! I have the book in my wishlist and I can't wait for it to be available here in the UK. I made my kids quillows about 5 years ago. Needless to say, they are now hating the fabric they chose back then! They want em to make them new ones. No pressure! Just beautiful…the photography is great. Quillows, yep, those are on the list! Gorgeous! I especially have my eye for that Pink Houses block, so cute and looks simple! I'm SOOO anxious for my book to arrive (*sound of fingertips drumming on the table…*). I'm also very envious of how you spend your afternoons. I miss the Seattle area SO much. That climate was perfect for me. Fresno? Not so much…And that stack of fabric is just delicious. See you next week! Update: The nice UPS man was just here and my fingers are no longer drumming on the table–they are in fact turning the pages of your fabulous book!! They all look wonderful! And I love anything with children at play in it! Your photos are great. I love them all! I don't even have small children, and I want to get your book! Thanks for more pictures of these adorable quilts! I couldn't wait to get my hands on your book so I ordered the ebook version for Kobo (that's a Canadian Kindle)! So glad I did! I wasn't sure I would like the electronic version – I do so love to flip through quilt books – but it's great and I highly recommend it! This is one of the first quilt books I have bought (and I've bought quite a few) where I have wanted to make every quilt in the book! Now…which one to start with! Can't wait until I can buy this book! I had it pre-ordered and then decided I need to wait until I got paid again since I bought some fabric. The little bits I have seen so far look great–looks like a quilt book I will use a lot. They are all beautiful! I really like the idea of a quillow . I will have to make one for each of my 3 grandchildren to keep in the car. I so hope my husbands got the hint/wishlist and purchased this book for me for mother's day! I ordered it (for my husband and kids to give to me) for Mother's Day! Holla! 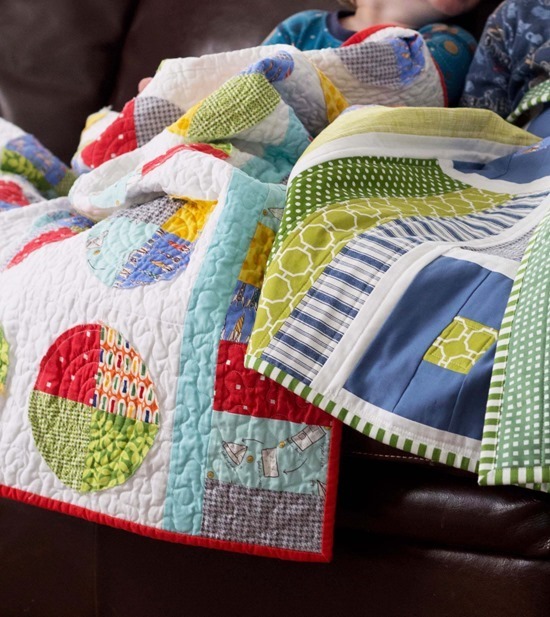 I LOVE heavy quilts – so comforting! Is yours heavy just because of the flannel? 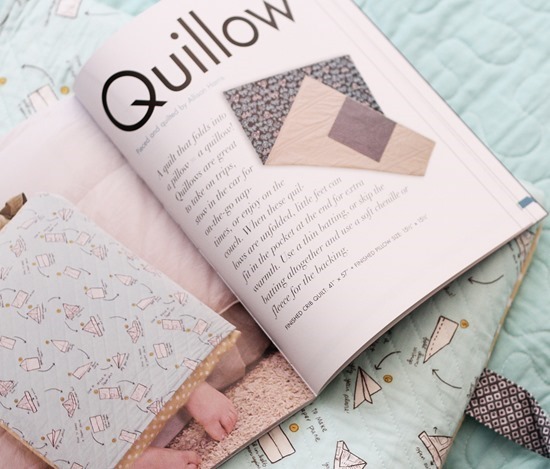 The book looks fantastic – can't wait to make a Quillow! I can't wait to get your book! The quilts and photos are all wonderful. Congratulations! I never tire of pretty pictures. And these certainly are pretty! I'm trying to patiently wait for my book to arrive. Can't wait to try some of these patterns. Like others have said, I love Breezy!! Your book looks amazing and inspiring! Love it, love it, love it! The last picture with the stack of fabric made me say out loud "ooooooohhhhhhh"!!!! Hi Allison, yes thank you for the extra photographs, it makes my wait for my copy from Amazon more bearable! 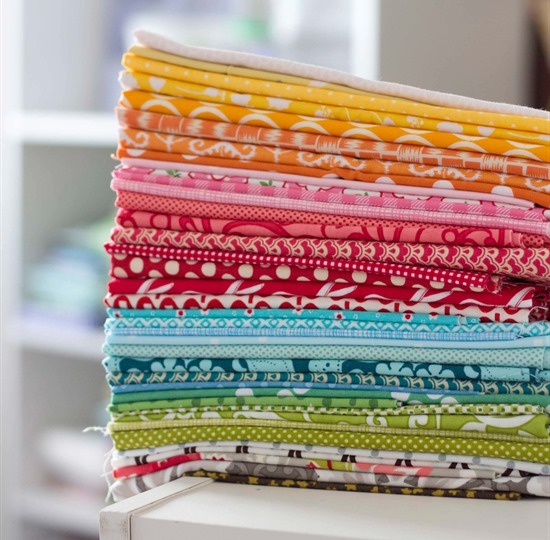 Purchasing an advance order has turned out to be a great treat for me as i think it will arrive in time for mothers day, and i have fabric stashed just waiting for these quilt patterns. You are so talented and we are so lucky that you share your patterns with us!! Good Luck with the book sales, though i think they will find homes so very quickly! Hi Allison – I totally love what I've seen of your book and plan to buy a copy on Amazon. I'm just wondering though how you came up with the name of the book? It's very unusual so thought maybe there was a story behind it?? Thank you for the photos. 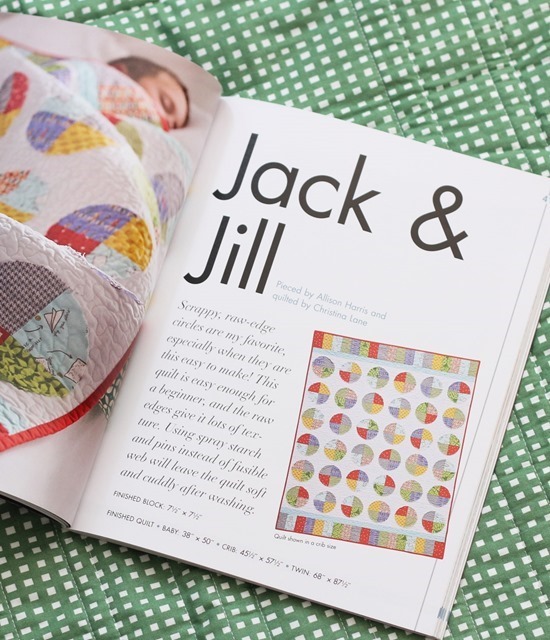 I just purchased the book because I needed fresh ideas for children quilts. Thank you for the great ideas. i really need to make a quillow or two! thanks for the photos. I especially like the houses. Remind me of the Swedish houses at the coast. Have to try that someday. What beautiful projects, I just preordered the book. 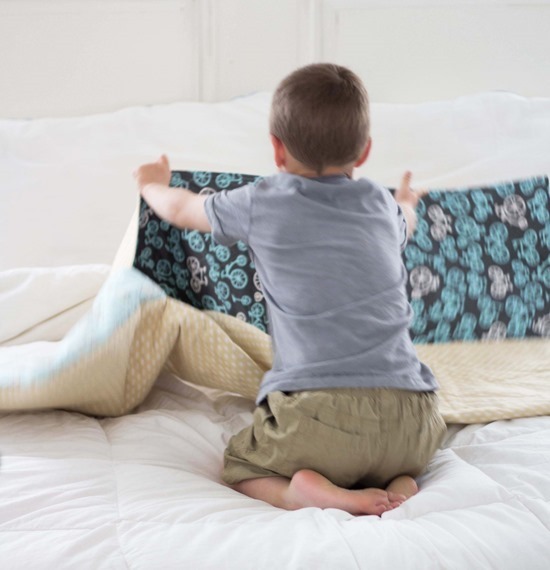 With all the projects I have lined up, maybe I'll get around to making the quillow by the time my youngest starts junior kindergarden in two years from now! Love the idea of tucking feet inside the quillow pocket! I just love your fabric choices and the designs are gorgeous, I made a smiliar quilt to your houses one, but called beach huts and kites. You're a great inspiration. I just received my book in the mail yesterday and have spent all of last nite and this morning looking through it over and over. It's a wonderful book! 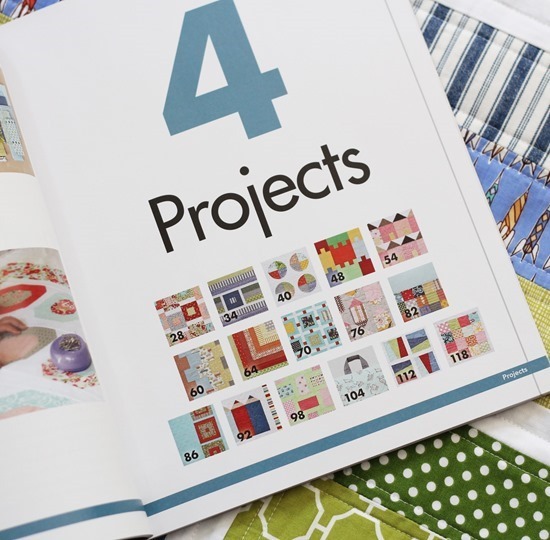 I love so many of the projects but really want to try the Breezy quilt first I think. Then maybe the houses. Beautiful quilts- I love them all! !Great job! !